Are you looking for the ultimate adventure, try whitewater rafting! This watersports in the Philippines was started by a group of outdoor sports lovers in June of 1995. The group first considered it as a hobby but eventually introduced a new water sports in our country. The evolution of the sport led Mr. Rupert Domingo and partner Julius Bioco to a more successful business venture which catered to local and foreign clients. The group was also involved in river explorations and expeditions which help them find a suitable river for the sport and their business as well. Enjoy the lust vegetation, the calm waters and Mother nature itself while hitting the rapids. Cagayan de Oro. It is known for its scenic and exhilarating terrain. 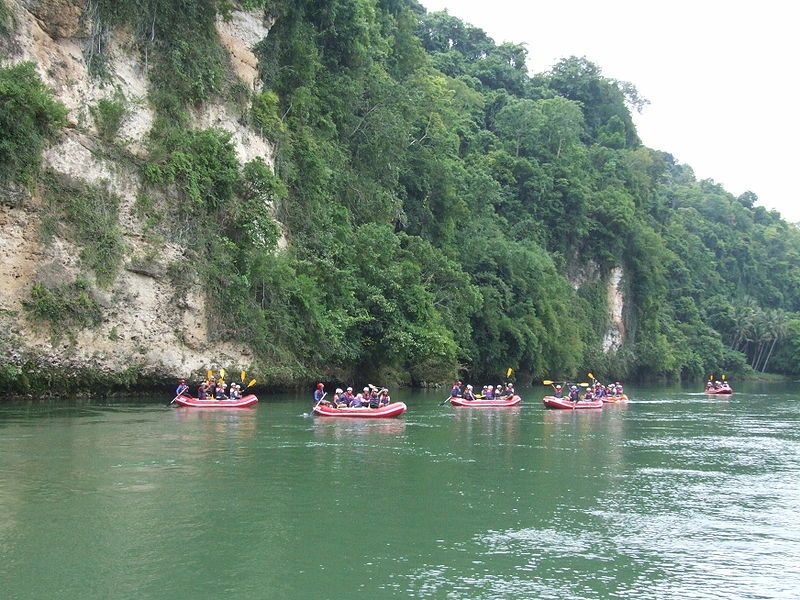 An outfitter called The Rafting Adventure Philippines provides the top quality river rafting trips combined with other outdoor activities along the spectacular river making this water sports in the country incomparable to other adventures. 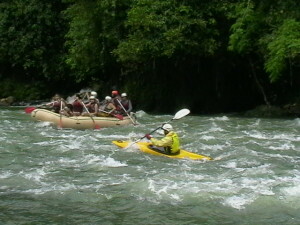 CDO river also boasts of twenty three rapids within levels I to IV. The levels of difficulty can vary based on weather conditions and season. River tours offered in the river last throughout the year. This is a rapidly growing business due to the abundance of rivers and many eager rafting companies. A beginners’ course will cost about 700 pesos but you will enjoy a 12 kilometer ride in 14 rapids together with expert guides. Included in the package is hotel or airport pick-up of choice. Use of safety gears such as helmets, life vests and paddle as well as dry bags for your valuables is also provided. For bigger challenges, an advanced adventure class course is also available and can be enjoyed in a 20 kilometer stretch of river in 21 rapids. Include in your Philippine travel Cagayan de Oro for a river rafting adventure. You surely will get the adrenaline rush you desire!